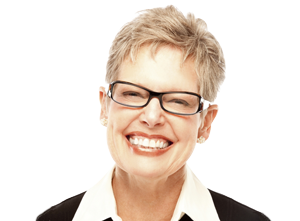 EyeDream (Ortho K) – An Answer for Myopia Control? The following is an extract from a press release published on PRWeb July 7th 2009. This article outlines the findings of a Chicago research teams investigation into the possible use of Ortho K to arrest the progression of myopia. Researchers have reported positive first-year results from a clinical trial that is testing whether specialized contact lenses can slow or halt the progression of near sightedness in children. Co principal investigators Drs S. Barry Eiden and Robert Davis, working with EyeVis Eye and Vision Research Institute, recently reported on initial results from the SMART Trial (Stabilization of Myopia by Accelerated Reshaping Technique). The clinical study, which has 10 investigational sights located throughout the United States, has enrolled approximately 300 subjects aged 8 to 14 to determine if wearing corneal reshaping contact lenses on an overnight basis stops or slows the progression of myopia (nearsightedness) in children. “The results of the SMART Study so far are very exciting. 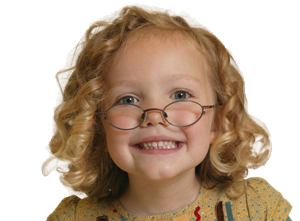 The outcomes of this study may revolutionize how we manage young nearsighted patients from this point forward”. Overnight corneal reshaping (also termed overnight orthokeratology, corneal refractive therapy, and vision shaping treatment) is a non-surgical process that utilizes specially designed contact lenses to change the shape of the cornea. Lenses are worn overnight during sleep only. Once removed upon waking the induced flatter curvature of the cornea results in clear vision thus reducing or eliminating the dependence on contact lenses or glasses during waking hours. Approximately 25 percent of the U.S. population has myopia while the incidence of nearsightedness approaches 70 percent in some Asian countries. High levels of myopia are associated with a number of risk factors for permanent vision loss and also effects vision performance that can have deleterious influences on a child’s school and sports performance. This makes a treatment that may control myopia progression very significant. “Correcting and controlling nearsightedness is very important because it potentially contributes to eye disease conditions and problems in academic and social activities, ” said Dr. S. Barry Eiden, co principal investigator of the SMART Study, and president of North Suburban Vision Consultants, Deerfield, Ill., one of the clinic sites in the five-year, SMART trial. The FDA approved corneal reshaping therapy in 2002 to treat myopia. However, as more eye care professionals and patients used CRT, anecdotal information emerged that suggested CRT could not only correct myopia but it could slow the progression of the disorder compared to normal contact lenses or eyeglasses. Two small-scale studies in Hong Kong and at the Ohio State University support this conclusion and a new, multi-site trial (the SMART Study) began in 2007 involving hundreds of U.S. teens and pre-teens. A year ago, U.S. investigators started their own study of nearsighted children and teens to test whether the anecdotal information was accurate. In the SMART study, half of the subjects are fitted with Boston Equalens II gas permeable contact lens polymer in a reverse geometry/corneal reshaping lens design. The control group subjects are fitted with normal soft contact lenses worn on a daily wear basis. “The net effect of this contact lens fitting philosophy is to change the cornea shape for the sole purpose of reducing the amount of myopia as measured by change in refraction,” said Dr. Robert L. Davis, of Davis Eye Care Associates, Oak Lawn, Ill., co principal investigator of the SMART trial. Each subject will be followed for five years and be seen by optometric and ophthalmologic researchers at staged intervals throughout each year for evaluation. Once annually investigators will collect the contact lenses and test the subject’s vision to determine how far their myopia has progressed. The first-year data showed that the corneal reshaping lenses did control nearsightedness progression in comparison to the control soft lens subjects who became significantly more nearsighted than the test corneal reshaping lens subjects. According to Dr. S. Barry Eiden the trial will also investigate why these special lenses may be effective in slowing myopia. “Current thinking suggests that these CRT lenses flatten the cornea but other evidence suggests that these lenses may influence the growth in eyeball length (termed axial length). 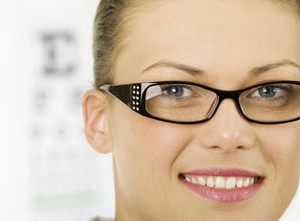 A major contributor to progressive nearsightedness is axial length elongation. Corneal reshaping may actually result in decreased axial length growth. The exact mechanism by which this happens is still being investigated” said Dr. Eiden. “The results of the SMART Study so far are very exciting,” said Dr. Davis. 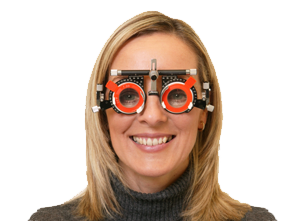 “The outcomes of this study may revolutionize how we manage young nearsighted patients from this point forward”.